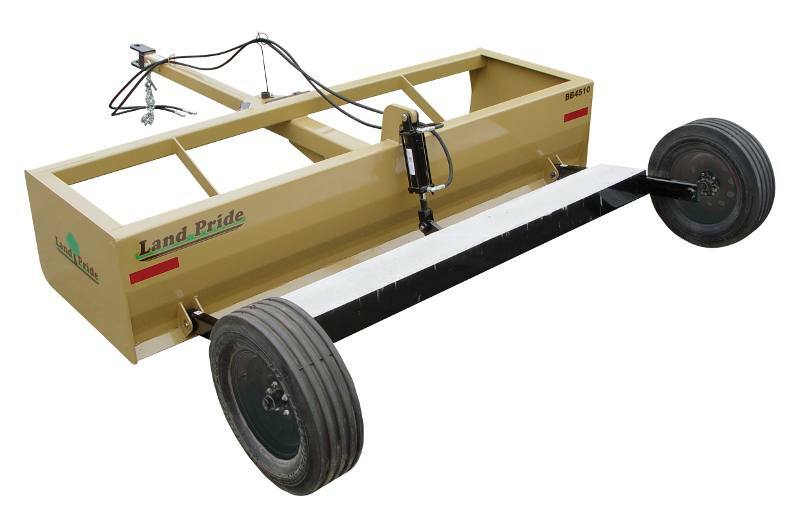 3/8" Heavy side panels with angle reinforcement on the diagonal: Built heavy to handle tough jobs and to keep the side panels straight under side loads. 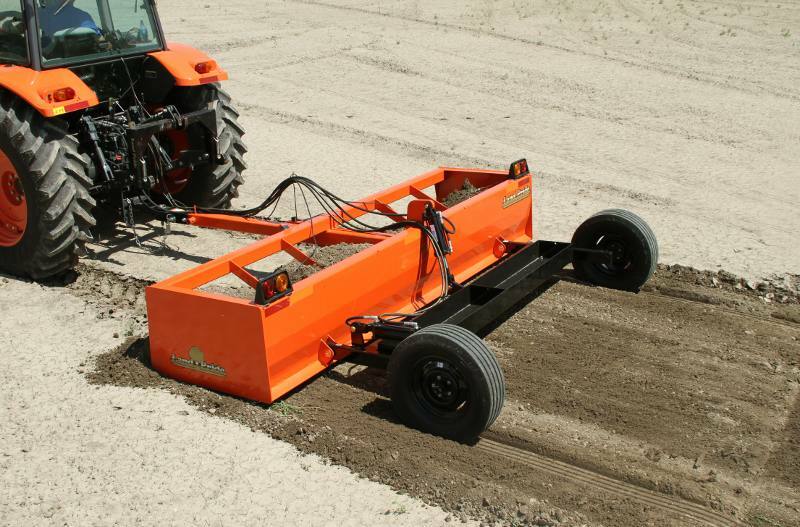 1/4" Formed moldboard with internal brace bars and 3" x 3" x 3/8" angle reinforcement at the cutting edge: Formed moldboard helps keeps materials flowing, decreases drag, lowers horsepower requirements, and speeds up work. Brace bars extending from crossbeams to lower moldboard keep the moldboard straight under heavy loads. Angle reinforcement at the cutting edge helps keep the cutting edge straight. 1/2’ x 6" Heat-treated, reversible and replaceable cutting blade: Heat-treated high carbon steel for hardness giving the cutting blade long life. Reversible so both edges can be used before replacing the cutting blades. 5" Maximum cutting depth: Can load the bucket quickly. 21" Dump clearance: Capable of dumping a lot of material quickly. Optional tilt with blade drop on the right side blade point: BB4510 with 7 5/8" blade drop and BB4512 with 8 1/4" blade drop. Capable of making deep angle cuts in one pass. Transport Width: 10 ft. - 0 3/4 in. Working Width: 10 ft. - 0 in. Capacity: 2 1/4 cu. yd. Weight With Weight Box (without material) - Standard Axle: 1,525 lb. Weight With Weight Box (without material) - Tilt Axle: 1,645 lb. Maximum Tilt Angle: 3 1/2 deg. Standard Axle: 1,525 lb. ; Tilt Axle: 1,645 lb.